We’d better create hard disk partition manager software bootable CD/DVD in case our system fails to boot or some physical damages happen on our hard drive. 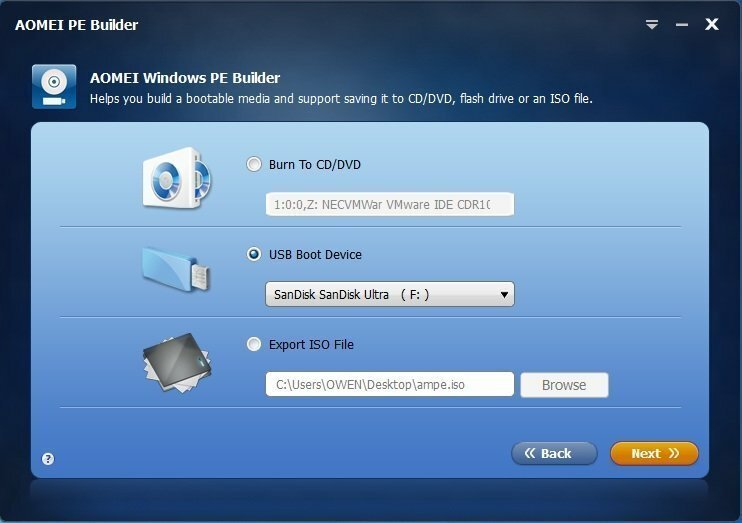 Here in this article we will show you how to use AOMEI PE Builder to create a bootable CD/DVD of AOMEI Hard Drive Management Tools. Why we need hard disk partition manager software bootable CD/DVD? We’d better create hard disk partition manager software bootable CD/DVD in case our system fails to boot or some physical damages happen on our hard drive. 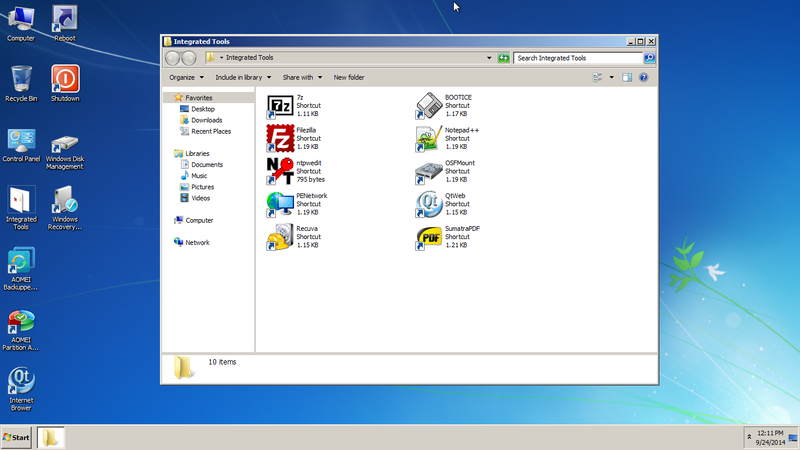 This provides us an ultimate solution to manage/recover the hard drive in Windows PE. AOMEI PE Builder integrates AOMEI Backupper, AOMEI Partition Assistant as well as Windows built-in recenv.exe program into one image. It’s free for both private and business use. Step1. Launch AOMEI PE Builder. We can see three options in the main interface: burn to CD/DVD, burn to USB device and export ISO file. The last one can be useful if you don’t have CD/DVD burner or USB devices. Please be advised that the size of image file is about 500MB, plus, it requires another 500MB space for running the programs such as AOMEI Backupper and Partition Assistant. So please make sure the storage of the destination device is 1GB at least. This time, we choose burn to CD/DVD. Step2. At the bottom, we can find Add Driver button. Hardware drivers such as network driver, USB device driver, RAID controller driver can all be added into Windows PE in AOMEI PE Builder. Once everything is set, click on Next to proceed. Step3. After the partition manger software bootable CD/DVD is created, click Finish to finalize the task. Step4. Next time, when we need to use the bootable CD, go to BIOS first, change the boot mode to CD/DVD, then we can use AOMEI Backupper and AOMEI Partition Assistant as well as recenv.exe in Windows PE.